Wiki Education provides resources to instructors, students, and institutions of higher learning. By supporting our non-profit 501(c)3 organization, you can provide more students with opportunities to thread their knowledge into a global network of free information. Engage students in solving real-world problems. Rather than writing a term paper that ends up in a drawer, students contribute to a knowledge base the world uses every day. It’s service learning with a lasting impact. Expand access to university resources. We believe that access to information is a human right, but large amounts of information remain locked behind paywalls. We open access to that knowledge by connecting universities, classrooms, and libraries to Wikipedia. Wikipedia should reflect the full spectrum of human knowledge. 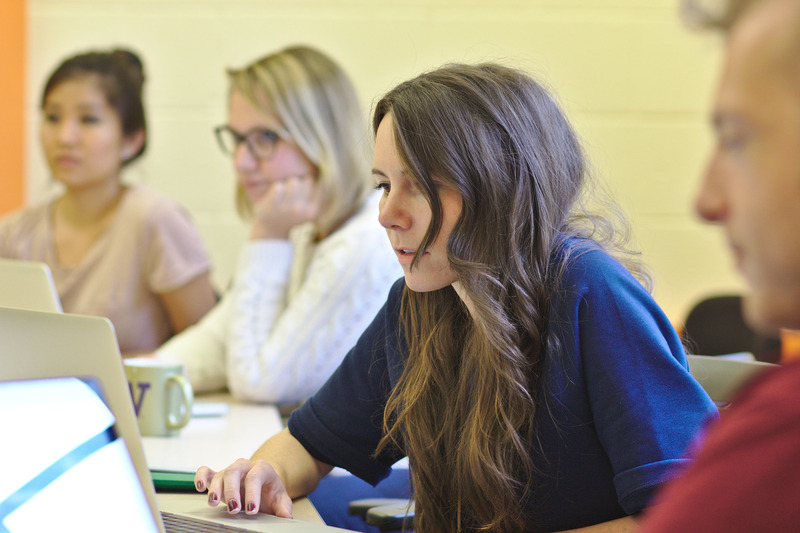 While Wikipedia is typically written by men, surveys show that 68% of our classroom participants are women. These young women are improving Wikipedia’s coverage about women’s health, lives, and political power. We’re also increasing information about women scientists, raising awareness of diverse role models in STEM fields. Increase digital and media literacy. Writing for Wikipedia challenges students into analyzing and interpreting information for fairness, accuracy, and reliability. Wikipedia assignments give students the skills to question unreliable information, rather than passively accept it.